Musicians involved in the local label Transponder records – Arexx, Notein and BLCNY – will participate in the 24-hour program of Institutions Need to Be Constructed platform, initiated by collaborative performance collective BADco. AREXX – long-time DJ, producer and sound alchemist, with a lot of musical experience in the world of electronic music, multimedia and more. From the very beginning he participate in the work of the Transponder Label. Notein – a humble progressive explorer of electronic music from Rijeka who has been composing for almost ten years and has published quite a number of tracks on several different albums for Transponder records. 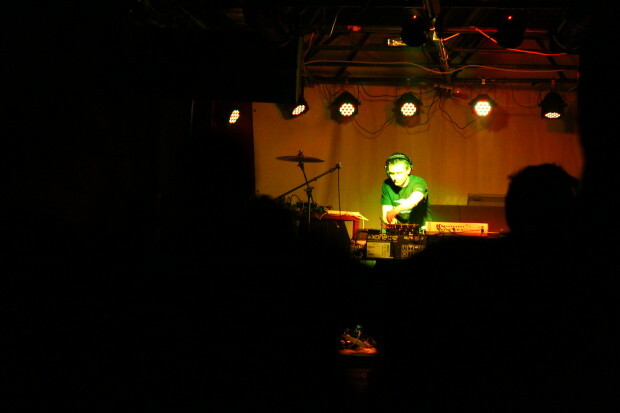 His work is on the trail of top performers on the electronic music scene such as Autechre and similar artists. He has performed live several times under the aegis of Transponder and is part of the Transponder Crew. BLCNY – electro duo from Rijeka consisting of Nevio Rugaš and Bernard Blašković. Two friends who collaborated in the electro pop band Senzorz. Nevio – former drummer in Quasarr and one of the founders of Rijeka’s techno / electro / IDM label Transponder records – and Bernard – DJ, composer, arranger, producer and guitarist in various Rijeka pop / punk / rock bands – brought together their synthesizers and drum machines, and started performing electronic music live. Made in Rijeka. Transponder records is a music label for promotion of electronic music, fusions and research originating in contemporary electronic music, founded in 2006. By knowing and cherishing the history of electronic music, musical variations and trends, it promotes music that has its place in space and time. The goal of Transponder Records is to give musicians and producers of electronic music (not only Rijeka based) a place – through a shared music profile – for presentation of their work, allowing them to keep their own sound and music recognisability. Label wants to create a nucleus of quality local electronic music that can present Rijeka as an essential point on the music scene. Sponsored by: TOI TOI d.o.o. Program was realized within Balcan Can Contemporary platform. Program was realized within Kamov Residency Programme.